"I consider space as a bulk of matter on which I interfere by removing pieces until I capture the ideal final shape that merges luminosity, harmony and effortlessness"
Inspired by infinite voids and negative spaces, visual artist Eleftheria Stamanti created a line of contemporary and architectural jewellery by using the fascinating theory of Euclidean point, toying with perspective, vanishing points and mathematical geometry to produce the exquisite The Mechanics of Black collection. 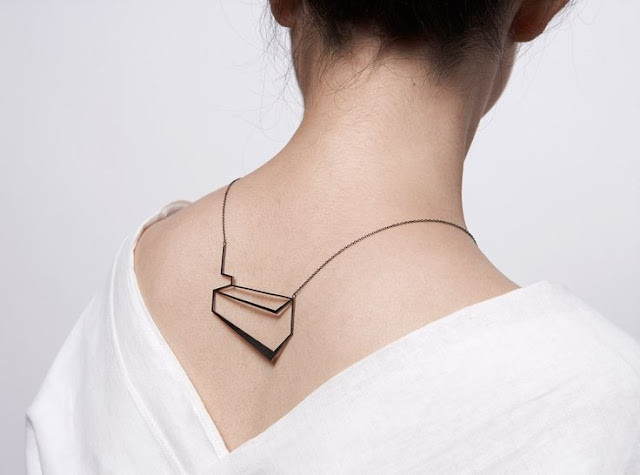 Constructed using fine metal pieces of cuboids, cubes and L-shapes, the sculptural yet wearable collection of utmost simplicity creates an illusion of being three dimensional and reminiscent of line drawings that's been brought to life. 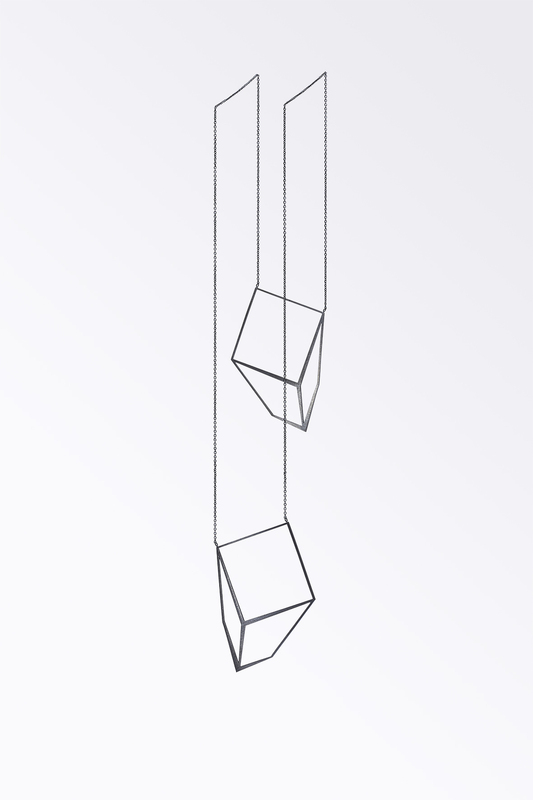 It explores the concept of nothingness, resulting in wonder and intrigue than something that is clearly identifiable. 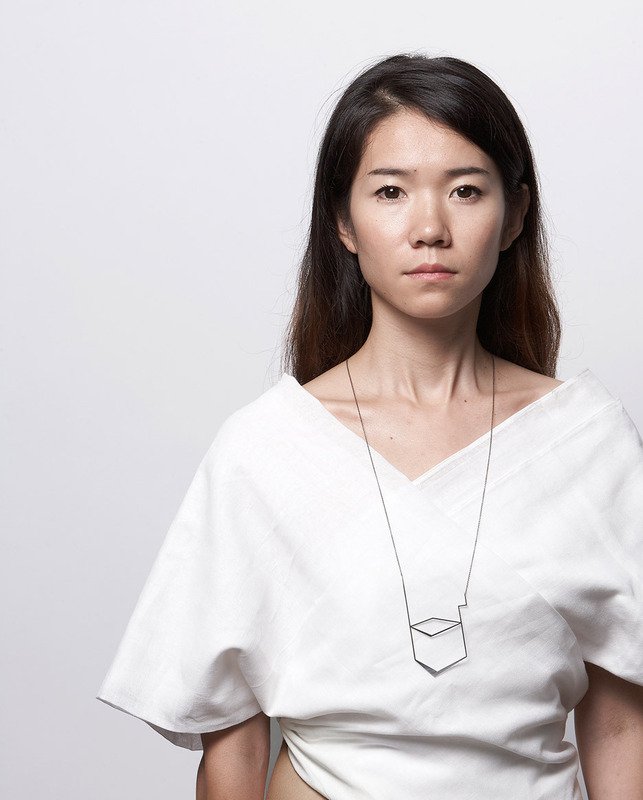 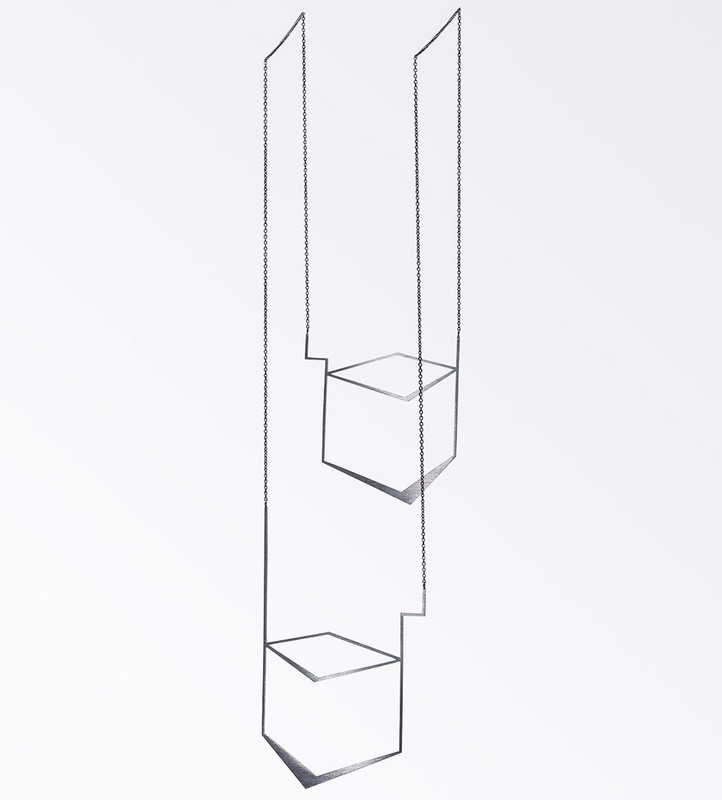 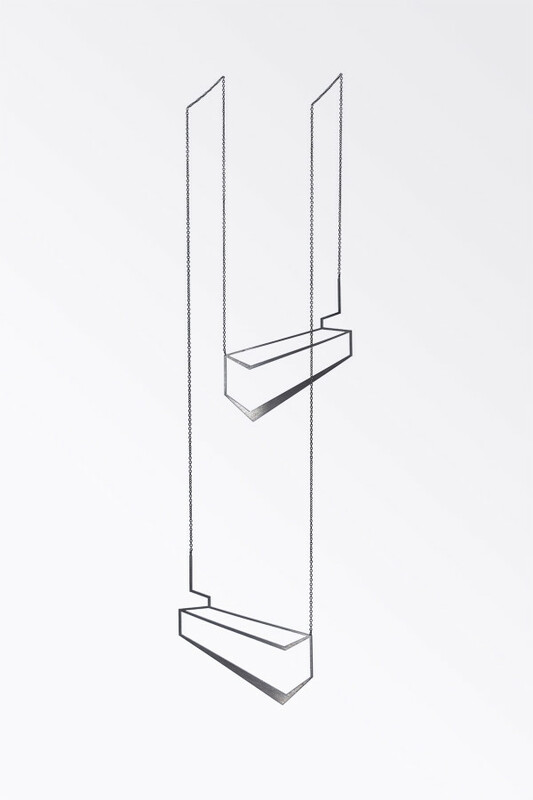 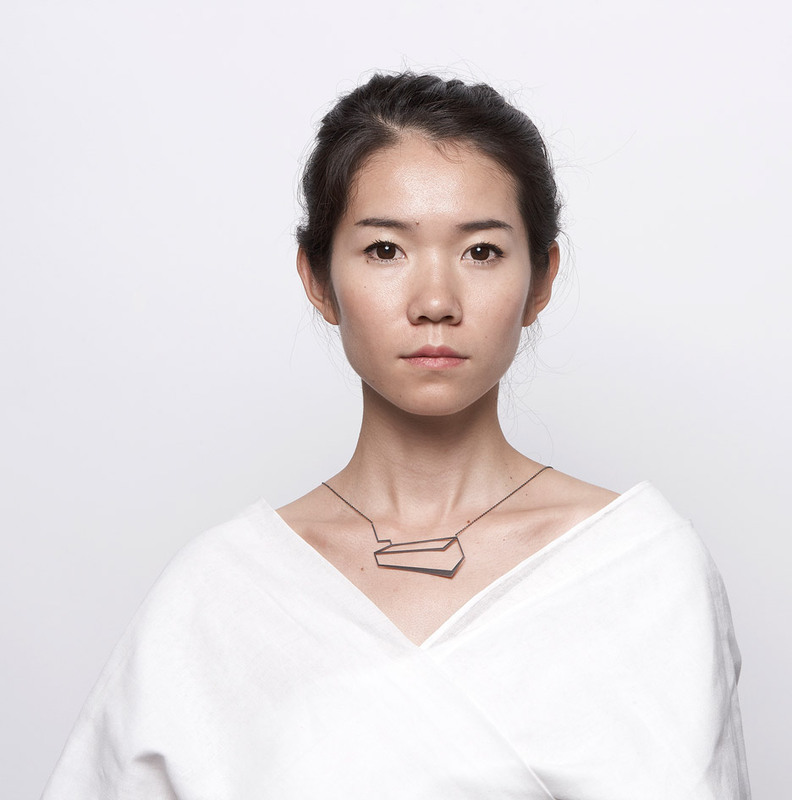 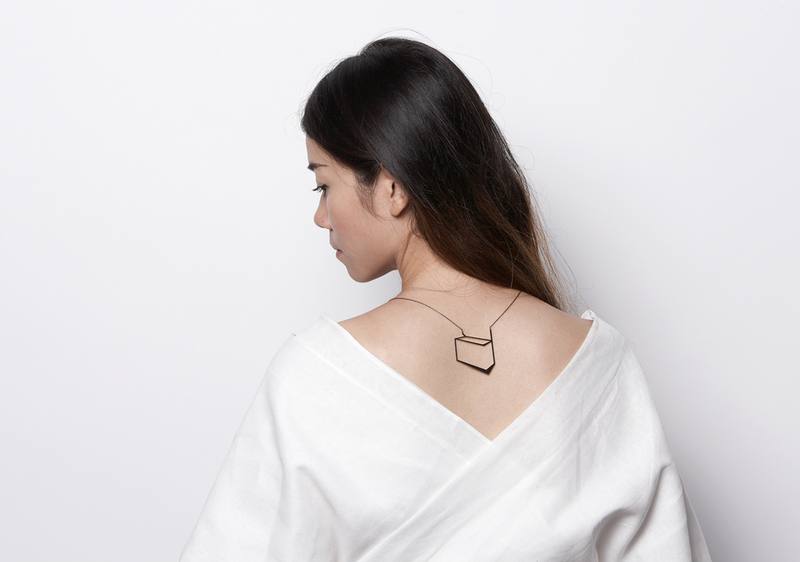 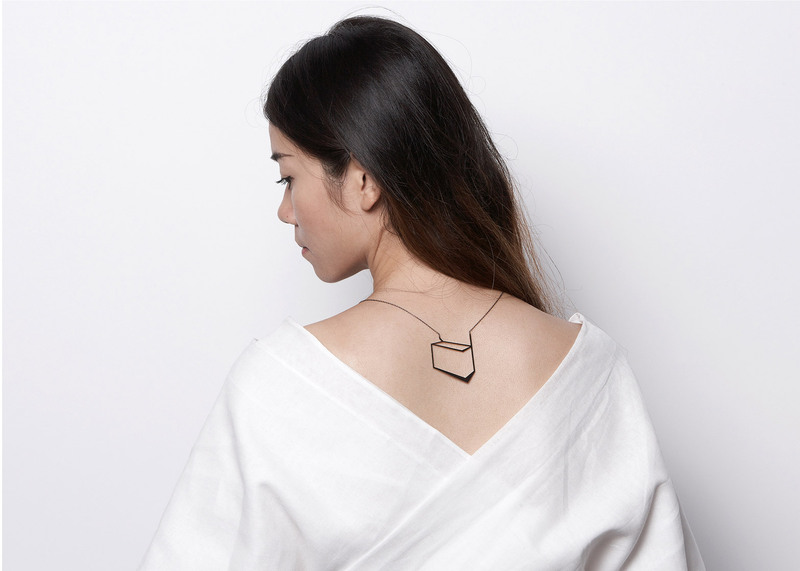 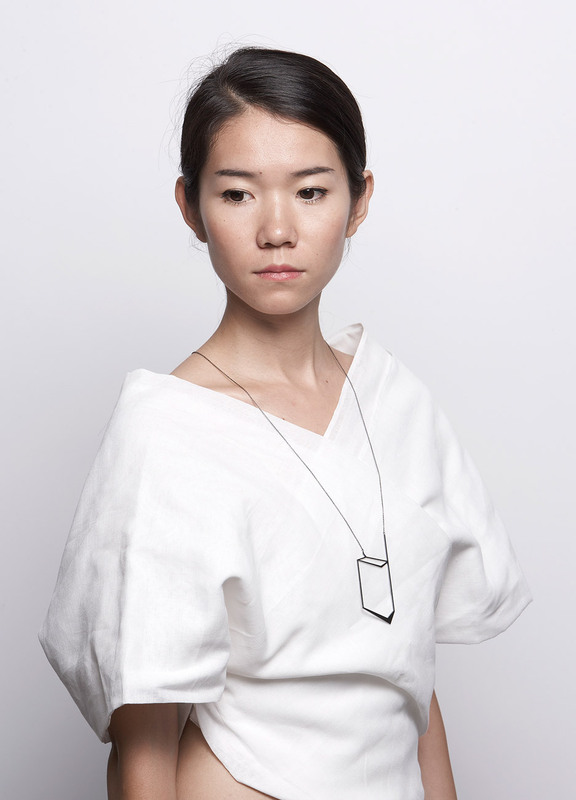 Playing with perspective and human interaction, the necklaces holds two pendants with one sitting on the wearer's chest and the other hanging from the back, the chain draping over the shoulder at a V angle allows the continuation of geometrical lines and shapes by using the human form as a canvas.